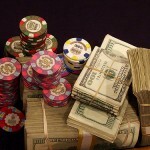 Last week (the first week of March) was an extremely happening one in terms of high stakes online poker action. Several ‘name’ pros saw action at both top online poker rooms (Full Tilt Poker and PokerStars), but quite probably the biggest story of the week was the re-emergence of XWINK at Full Tilt Poker. Provided he is indeed the same 20-something old Canadian who played at UB under the moniker XBLINK, XWINK’s story is a truly impressive one. Word has it that at one point, he took his last $11 and worked it up to a 6-figure roll. He then popped over to Full Tilt Poker, where he played at the highest stakes for a while before disappearing. Last week, he re-appeared, and he took on two of Full Tilt’s most active players: Jared Bleznick and David Benefield. To say that he did well would probably be an understatement, given the fact that he relieved Bleznick of $300k. 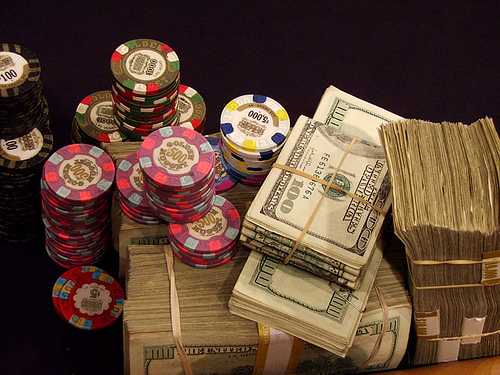 All-in-all, he scored a $700k profit to mark his return. Phil Ivey had a rematch with kagome kagome, as the German was looking to get some of the $500k he had lost to Ivey back. Things tend not to go according to plan though when that plan is about taking money from the world’s best player. The session turned into another one-sided trouncing, at the end of which Ivey had $432k of his opponent’s money in his pockets. Over at PokerStars, Ilari Sahamies was at it again. Having shaken the Full Tilt monkey off his back, he took on a bunch of folks at the 6-handed $25/$50 PLO tables. Viktor Blom was among those he played against. No longer haunted by bad luck, Sahamies won around $150k over two days. The biggest pot he took down was a $45k one, which landed on his side of the table after he rivered a set against Viktor Blom’s turned top pair. The biggest winner of the week was gavz101. Viktor Blom and Refaelamit made the winners’ list too. I’m following with interests everything what the mysterious high stakes player does Hope to see more action of him soon!